What Physical Security Vulnerabilities Should Commercial Facilities Worry About? What kinds of security vulnerabilities might your commercial facility be prone to? There are many different kinds of security these days, from concerns over data to actual physical buildings. This has created a need for multitudes of ways for commercial facilities to protect themselves, as there are so many vulnerabilities out there that it has become necessary to create appropriate solutions. Physical security is more complex than a lot of people realize and there’s quite a bit that goes into it. Let’s take a look at some of the biggest physical security vulnerabilities that are concerning to commercial facilities. 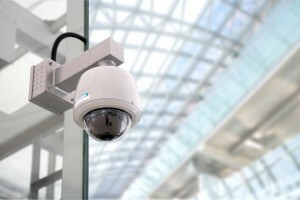 Camera systems, like CCTV systems, can be incredibly useful in securing a building. Not only do they work to discourage any kind of crime, but they can also come in handy in the event that something illegal does happen. Oftentimes, police will use footage from CCTV systems to acquire more information about a crime and it can be useful evidence if someone gets apprehended. In any case, sensitive areas can always benefit from having CCTV systems installed. Having doorways or roadways that aren’t properly secured can be a huge risk for commercial facilities. An unlocked door can be the difference between safety and theft. Utilizing access control systems is a fantastic way to monitor who is able to enter and exit a building; anyone with the proper credentials can simply swipe a key card and be granted access. On the other hand, having the right staff on hand who are properly trained can make securing a roadway easy. Being confident in how secure your perimeter is can have huge benefits to your overall sense of security. This is where louvers or commercial fences come in. Louvers offer your facility the ability to have a better sense of privacy and security while still allowing the area to breathe a bit. Commercial fencing is also a great option though it may not offer the same level of privacy. Either way, securing the perimeter is necessary for good security. This entry was posted on Friday, May 18th, 2018	at 3:05 pm	. You can follow any responses to this entry through the RSS 2.0 feed. Both comments and pings are currently closed.